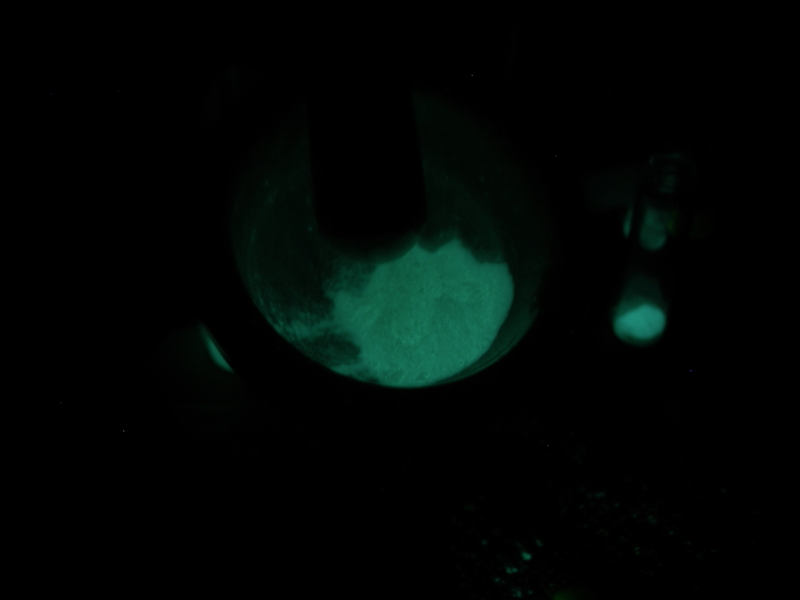 A few months back I was compelled to purchase this “special” glow in the dark powder that E2046 had for sale, this powder supposedly can be used with any paint or solution such as thinners. I actually purchased 6 different colors: Blue, green, yellow, pink, orange and purple, what I noticed about these products is that the consistency is powder like but certain colors have a salt granule consistency. 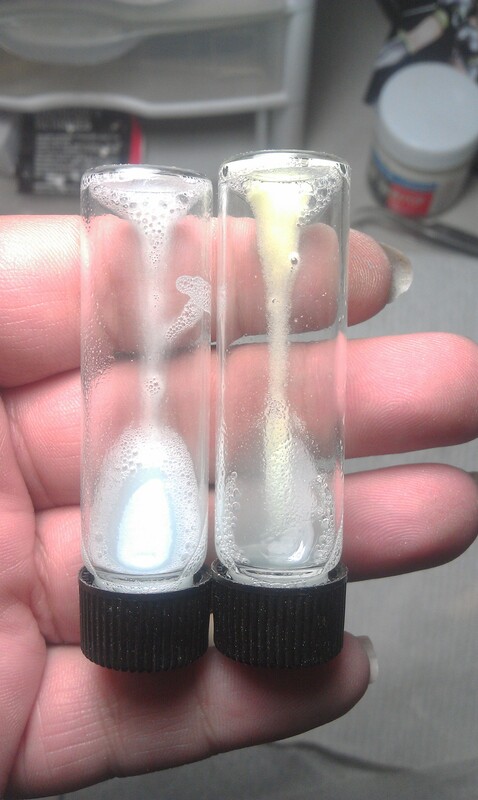 In this picture the left powder is green and the right one is blue (I know they look the same but once they glow in the dark they have different colors), what’s important in these pictures is the consistency of these powders as they are clearly different, not only the blue color came this way but the purple one came the same as well. The granules are clearly seen and no matter how long I shake and stirred, they still remain them same, I even left them for a few days like that to see if it had any change. I had purchased 5 of the luminosity powders that you carry, I have noticed today when I was trying to use them that they are different! I can’t some but I can use others with my airbrush. The Blue one: Item AC1999 is so granny and heavy that it cannot be deluded to be able to use it with the airbrush, it’s consistency is like granulated salt, I also purchased the green one: AC1996, this one alone with the yellow and the pink have talcum like consistency and I was able to delude it and stray it with absolutely no problem, the problem now is that I can’t use these 2 colors (blue and purple) for what I originally intended to use them. 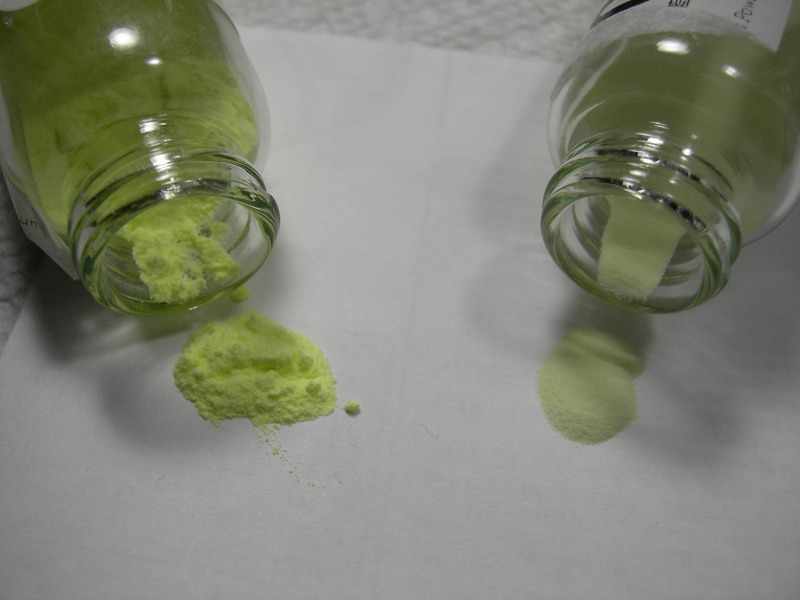 Why are these colors so different, and if mine just happen to be different then I would like an exchange for same color but the talcum consistency. If you want me to send you pictures I can to show you what I mean and how it’s not possible to delude it. 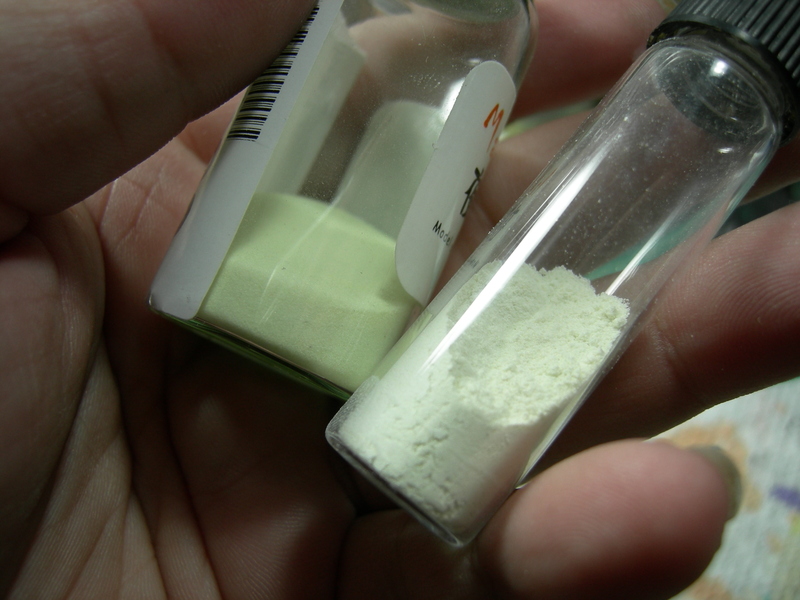 We just got the reply from the supplier, they told us the materials for different colors are a little different, and the product might be stored too long, that’s why the blue powder is different from others. you do realize that that explanation is just made up right? I’m not believing it, it’s impossible for a talcum powder consistency to turn into granules in a “long stored time” if that were true then my regular body talcum would react the same and I have had it for more than 3 years. 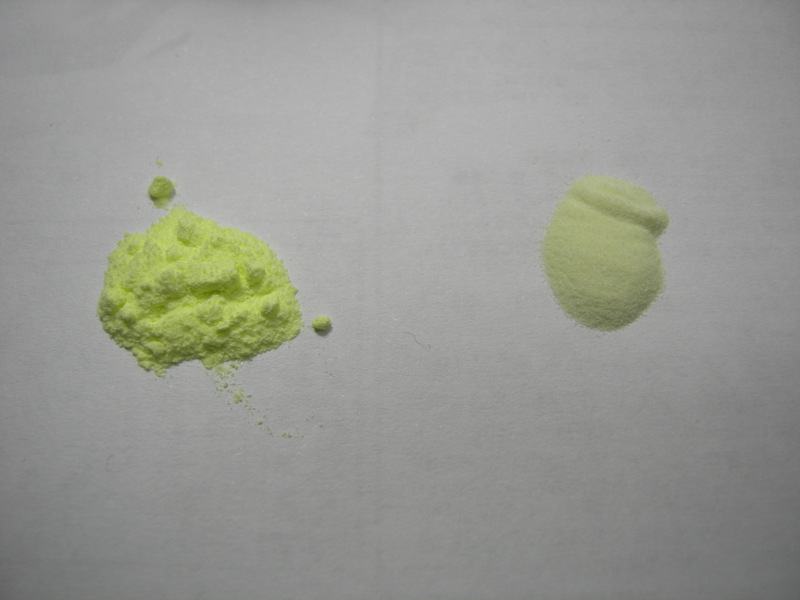 According to the supplier, contents in powders of different colours are different. 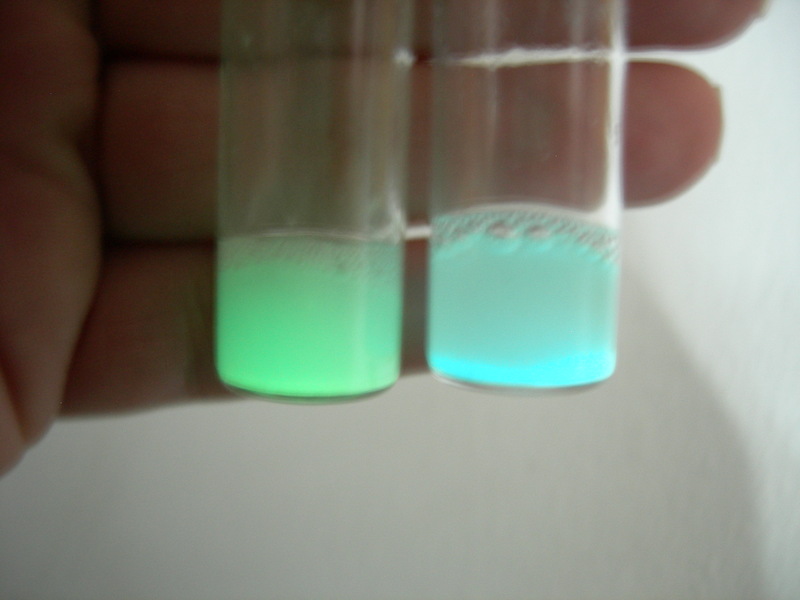 This may lead to the insolubility of certain colours upon storing. 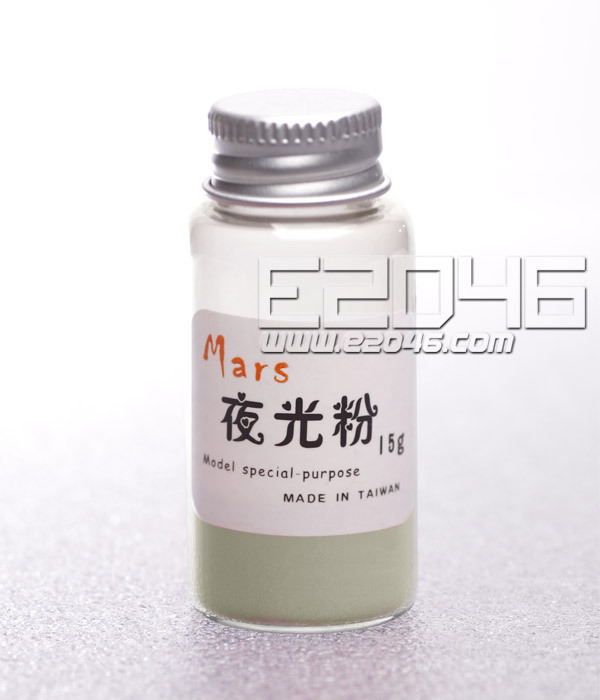 They suggest to dissolve the powder in varnish or paints before applying. But still to my disappointment, even in powder consistency, there were still micro granules that would keep going to the bottom, I tried to use with my airbrush either way but it was useless, so I had actually tried all types of liquids, including alcohol, acrylic thinner (tamiya), mr hobby lacquer thinner and testors enamel thinner, tamiya clear paint without thinning and thinned, future shine, nothing worked, not even after grinding it some more, adding it to opaque paint such as blue for eg. 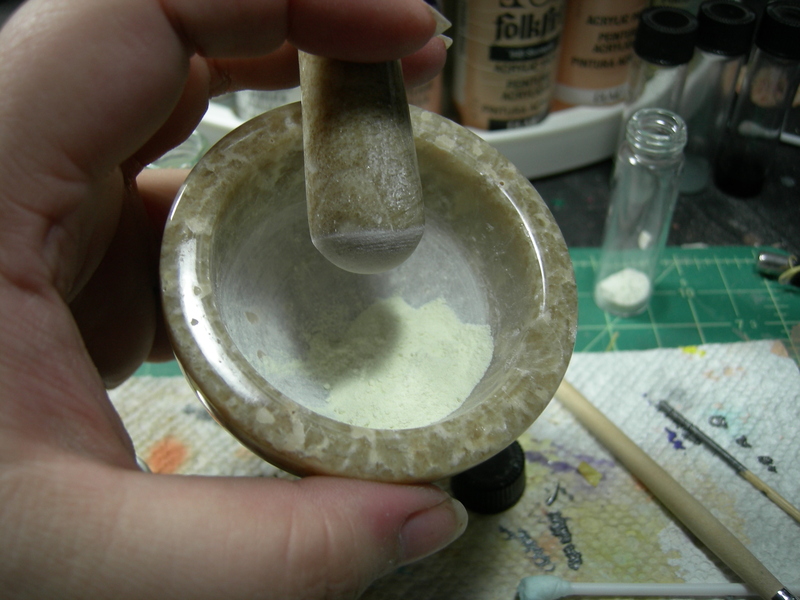 didn’t do anything to it, in fact the paint pigment covers the luminous powder and has no more “glow effect”, but the granules would still be everywhere and it would not look like it was even coat, so I just gave up on these powders. In short, these products are a waste of money if you planned on using them with your airbrush as it does not dissolve and it also might damage your airbursh as I had posted this issue over a gk community I often visit, and several people did say that they had purchased the powders but never worked for them, however you could use them if you just want a topical application like spreading it over something as is without trying to delude it, it can be used that way, but forget about doing anything with paint.